REDe is a work package shared between all three EU funded Zika consortia and is tasked with creating a regional research network that is able to respond to emerging infectious diseases by collecting high quality data. The aim is to equip low resourced areas with the knowledge, methods, skills and capabilities to support a high quality, rapid and coherent research response to the Zika outbreak in the short term. The longer-term aim of this network is to establish lasting capacity to conduct research in the event of other vector-borne and emerging infectious disease outbreaks in Latin America and the Caribbean. This wider objective can be achieved by improving day-to-day evidence generation and engagement in research, and therefore this platform should be a resource for research teams and staff. It offers a ‘community of practice’ for doctors, nurses, lab staff, data managers and pharmacists – in fact everyone who is involved in clinical research studies – and most importantly will be a valuable resource for those who would like to become involved and have had no experience or opportunity to date. A community of practice is a dedicated space for you to work, share ideas and discuss challenges with your colleagues in other groups. On the REDe platform, there are training courses, help topics, template documents, guidance notes – everything that you need to run a good study. Some resources are available right now, and other specific courses and curricula are being developed to meet the needs of all the research programs across the three consortia. Over time, materials and resources will be made available that are highly specific to outbreak response and also to meeting the specific gaps that need to be addressed. These resources include a comprehensive map and information portal to display all the studies and partners and to provide supporting information. A demonstration version is available now and the REDe team hopes that this intuitive and visual tool will help partners, collaborators and others find out what is happening by region, type of study or setting. So get involved! This tool is here for everyone involved in clinical research in these regions – and you can help make it a powerful resource for research that can help generate more and better data. The website is up and running and has been well received. The site is being translated as much as possible and being used as the starting point to engage with the research teams in the regions. Please help with this by letting your teams and collaborators know about this powerful resource that can really help support staff training and development as well as teaching the day-to-day skills that you need to run good studies. REDe will operate both in the regions and online. Experienced sites will be linked with healthcare settings and laboratories where there is little or no research experience and there will be many activities to enable skill and knowledge-sharing and to raise the number of trained research sites. There will be workshops, training courses, mentoring programs and career development activities, all aimed at enabling every type of healthcare and laboratory staff to take part in research and to increase their skills. The first workshop will be in Honduras and will focus on community engagement in research. Numerous other workshops are being planned – if you have any ideas or requests, please just get in touch. Red and Rede mean ‘network’ in Spanish and Portuguese. 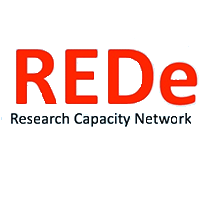 Therefore REDe (phonetically “ready”) is a highly fitting name for this research capacity network for preparedness. RED, internationally, means “be alert”. It is clear and simple, and goes beyond Zika, and the region, while still maintaining the link with Latin America. This name gives a sense of a neutral, transparent, open and inviting platform shared by the three Zika consortia and inclusive of everyone in the region.